The South Williamsport Area School District has obtained licenses for all staff and students for Office 365. To access your 365 account, you will need to login with your username and password. 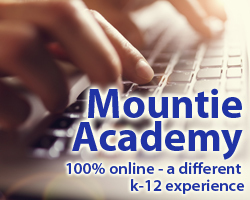 All accounts use your username@mounties.k12.pa.us. Access to Office 365 is available 24 hours a day, 365 days a year as long as you are employed or a student in the South Williamsport Area School District. One service provider used by the District is Office 365. 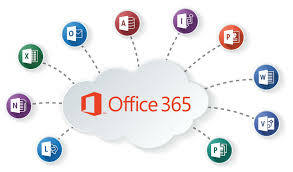 Office 365 for Education is fully hosted on the Internet and students can access their files and a suite of productivity applications anytime from a wide array of Internet-accessible devices, making them excellent tools for homework, communication, and collaboration. Office 365 applications can also share documents allowing for greater collaboration and ease of communication for students working in groups. The Office 365 for Education account includes an email address. This account will be generated with a South Williamsport School District address. This is a standard email account using a combination of the student’s name and anticipated graduation year. Students will be able to receive email from any email user. The District will not monitor the student email accounts. Parents and guardians are encouraged to take an active role in monitoring how their students are using school email. Although the District does not monitor email, it reserves the right to search email, as well as other District, web, and cloud hosted storage and applications, if the District has reasonable suspicion to believe that a student has violated Board Policy or applicable law. To set up the Office 365 for Education account, the SWASD Tech Department must provide a limited amount of information to Microsoft. This information is limited to the student’s first name, last name, student ID, and a password. Within the Office 365 for Education applications, users are able to provide additional personal information. 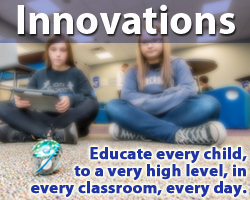 The District does not require nor encourage students to provide additional personal information. For parents and guardians that elect to not Opt-In their student, the student will still have access to the applications and productivity tools installed on the computer while at school, but they will not have access to the Google Apps for Education.